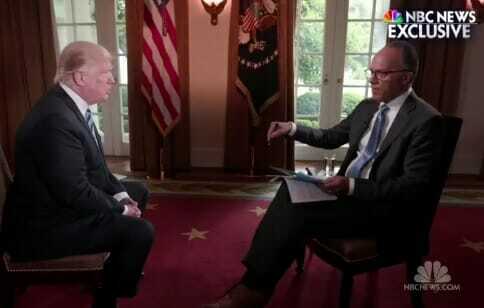 NBC’s Lester Holt sat down with President Donald Trump in his first interview after the firing of FBI Director James Comey. As Breitbart reported, Holt interrupted Trump 9 times in three minutes. But back in January of this year Lester Holt gave President Obama a cake walk interview. Holt was nothing but agreeable with the former president who left office with the worst economic and foreign policy record in US history. But at least they refrained from kissing.